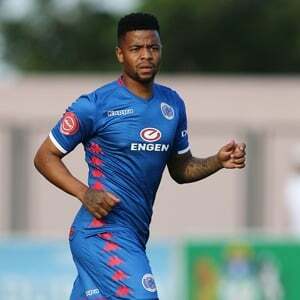 Cape Town - SuperSport United coach Kaitano Tembo believes George Lebese must not play like he has a point to prove against Mamelodi Sundowns on Wednesday. The left-winger is still contracted to Sundowns but moved to SuperSport on loan during the January transfer window. The 30-year-old was completely out of favour under coach Pitso Mosimane and he was forced to move to United in order to resurrect his career. As such, with Matsatsantsa set to face the Brazilians on Wednesday in a Premiership clash at the Loftus Versfeld Stadium, Tembo insists the forward remains composed. He told reporters: "If he gets an opportunity he must play his normal game and not put himself under pressure. Probably pressure can come from him putting himself under pressure but for us it's like any other game. "If he puts the same performance he displayed against Polokwane City that's all we need, that's all we are looking for, that's why he is here with us. "But it's not about him proving a point but about him going out there and playing. Not putting himself under pressure, because when you start putting yourself under pressure you start making mistakes and we don't want him to do that. We want him to relax and play his normal game."